Ladies, Have You Tried These Wholesome Drinks Made Using Modern Medicine And Ayurveda? 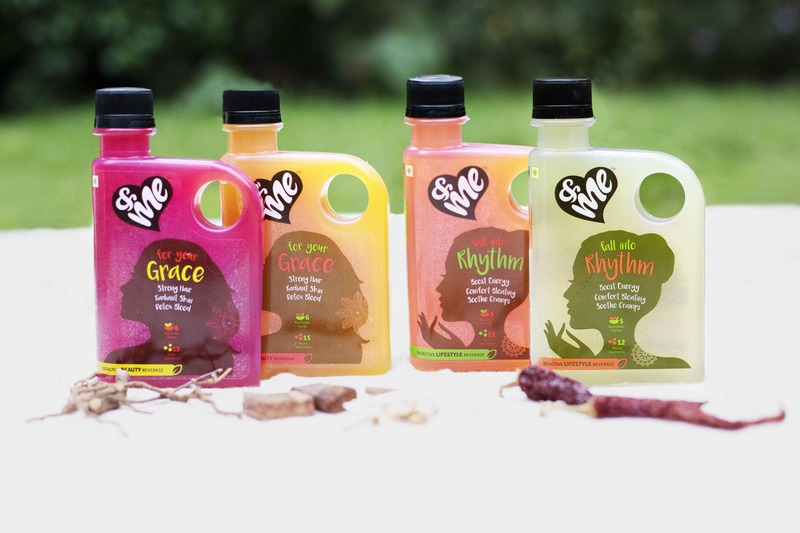 &Me is a nutrition brand that focuses on providing women the essential micronutrients, in the form of beverages. These bioactive beverages combine secrets of Ayurvedic medicine with the benefits of modern medicine. Starting their journey in 2017 to provide nutritious concoctions to women, &Me beverages are well-thought drinks created to match the fast-paced lifestyle of the modern woman. The days when mothers made homemade healthy cures for blemishes, hair fall, immunity and cramps are gone. With the busy lifestyle we live, it is hard to maintain perfect health and perfect-everything else. Keeping this in mind, &Me has created two nutritious drinks - Grace and Rhythm. For glowing skin, try Grace, designed to improve your body from within. It also helps in acne reduction, protects from UV rays and makes your hair healthier. The ingredients used to give these results are Vitamin B12, Biotin with Turmeric and Aloe Vera. They come in watermelon and mango flavour. Are they the perfect substituent for all those football sized B12 tablets or what! Feeling bloated or just have mood swings before menstruation? Here’s Rhythm, their star drink that helps boost energy, manages premenstrual symptoms of bloating, anxiety, mood swings and also purifies your blood. Ingredients used to make this life saving drink are Calcium, Vitamin D, Iron, Ashwagandha and Shatavari herbs. This is India’s first PMS drinks and come in green apple, orange and cranberry flavours. Suffering from PCOS? &Me has a solution. Try their Rhythm beverage in cranberry flavour that helps you with PCOS. Order now and get nutritious!